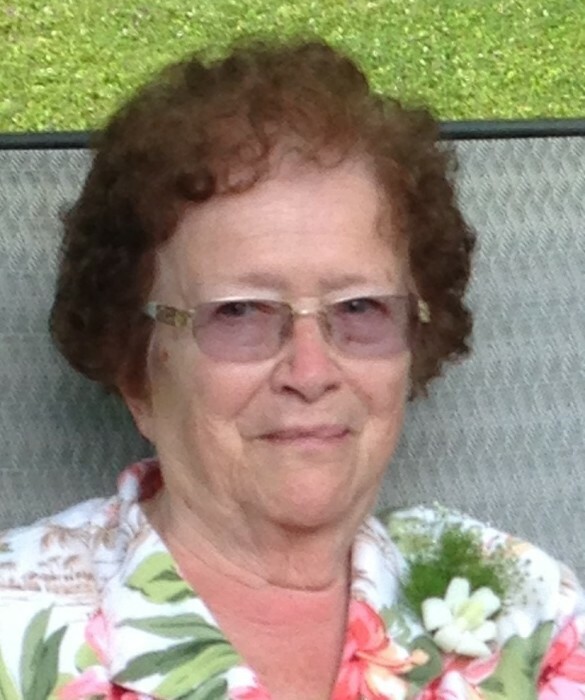 Nadine D. Geyer, age 87, of New Milford (currently of Southbury) passed away peacefully on August 29, 2018 surrounded by her loving family. She was born in Pottstown, Pa on December 14, 1930 to the late Oscar and Irma (McFarland) Davidheiser. Nadine earned a Bachelor of Science degree in Home Economics from Mansfield University (formerly Mansfield State Teachers College) and a Masters of Arts in Education from Western Connecticut State University. She started her Home Economics teaching career at Millersville, PA High School prior to starting her family. The family moved to New Milford where she later taught Home Economics at New Milford High School for 20 years, retiring in 1992. Nadine was an accomplished athlete long before Title IX became law. She played field hockey, volleyball, and basketball when women still played with 6 players, where in a basketball game, she scored 50 points; and softball where she was offered a contract to play for the Rabestos Brackettes. She loved watching or attending UCONN Women’s basketball games. Her other hobbies included baking, counted cross stitch, knitting, crocheting, needlepoint and travelling to the National Parks. Nadine is survived by her husband of 64 years, Joseph W. Geyer of New Milford, and recently relocated together to the Hearth in Southbury; loving mother to her children and their families: Pamela Geyer of Bristol, Joseph & Julie Geyer of Farmington, Nadine & Jeffrey Pratt of Bantam, David & Marina Geyer of Roxbury, Paul & Jill Geyer of South Lyon, MI and Rebecca & Alex Barelka of Bloomington IL; Grandchildren: Christopher & Tiffany Marsh of Thornwood, NY, Lindsay Marsh of Newington, Michael Geyer of Providence, RI, Jennifer Geyer of Farmington, Katie Pratt & her fiancé Tom DiMarco of Bethlehem, Melissa Pratt of Bantam, David, Jr & Daniel Geyer of Roxbury, Paul, Jr and Anna Geyer of South Lyon, MI and Rachel & Jackson Barelka of Bloomington, IL and Great-granddaughter Ellie Marsh of Thornwood, NY. She was predeceased by her brother, Noel Davidheiser of Douglassville, Pa. The family would like to thank the staff at The Hearth and Danbury Hospital for the wonderful care they provided during the past six months. Calling hours will take place on Saturday, September 15, 2018 from 9:00-11:00 am at the Colonial Funeral Home, 87 Park Lane Rd., New Milford. A memorial service will follow at 11:00 am at the funeral home. Burial will be private. In lieu of flowers, donations may be made to the Animal Welfare Society, Inc, New Milford, CT or the National Parks Conservation Association.